We have offered the brand for over 7 years and have experienced a very low warranty failure rate on the entire product line. We feel Ruud is a very good value (especially when you are considering a heat pump) and quality is top rated by the leading consumer reporting agency for 7 years in a row. Product offerings are extensive and wide ranging. Ruud has been about average in terms of warranty part fulfillment. 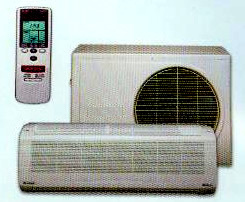 Most customers know either the Ruud or Rheem brand, sister companies with identical product offerings. Goodman has been about average in terms of warranty part fulfillment. Many customers know the brand. Imagine enjoying comfort like you've never experienced before….allergen filtration…dramatic energy savings…and a federal tax credit of up to $500. You can have that and more with a new high efficiency heat pump air conditioning system. But you must act now because this credit will expire at the end of this year. Many of our gas heat systems meet or exceed the energy efficiency specifications of the Environmental Protection Agency's Energy Star Program thanks in part to advanced technology. 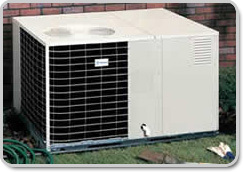 Our systems range in capacity and consist of cooling-only, gas heat, and two-to-eight room multi-zone systems. Some of these same systems qualify for $1,500 in tax credits as energy-efficient home improvements under the American Recovery and Reinvestment Act. 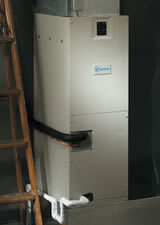 Click the link below to view all Gas Furnaces that qualify for the 10% federal tax credit. And, because our systems help you reduce your energy consumption in your home, you are doing your part to leave less of a footprint on the environment, all while saving money on your energy bill. My service tech told me that higher efficiency products break down more frequently. Is this true? Will you size my central air conditioning system if I call you? Do your cooling systems come pre-charged? I need to purchase an air conditioning system. What will I need to know? 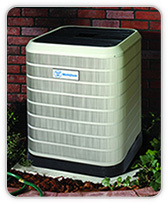 Can you help me size an air conditioning system for my home? You sometimes recommend an estimate by a local contractor prior to purchase. Why? I've seen system sizing software on other sites for free. Why do you charge for yours? How do I determine the correct gas furnace size for my home? Is a higher efficiency furnace always better? What does the "variable speed" feature of a gas furnace mean to me? What does the "two stage" feature of a gas furnace mean to me? What is the highest efficiency furnace you offer? Do you provide installers for my purchase? Can I install my gas furnace myself? Can I install my new gas furnace in my attic? Do all furnaces use the same type of "chimney" or flue? Are your furnaces compatible for use with propane (LP) gas?